The Epos Bureau achieves ISO 9001:2015 certification! Massive congratulations to our client, Graham, for having successfully transitioning to ISO 45001:2018 Health and Safety Management System and further success on acing their ISO 9001 (Quality), 14001 (Environmental) and 44001 (Collaborative Business Working) external audits. Well done to all the team. 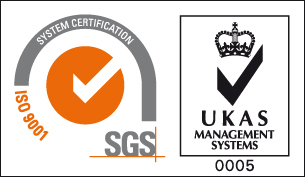 Quadra is a world leader in management systems consultancy and training specialising in ISO Standards. Headquartered in Belfast with another office in Dublin, Quadra specialises in standards such as ISO 9001, ISO 14001, ISO 45001, ISO 50001, ISO 27001, ISO 20000, ISO 17025, ISO 13845, ISO 22301, ISO 39001, ISO 15189, ISO 22000 and AS 9100, as well as services such as Online Health and Safety Training, and Information Security Services including Vulnerability Assessments and Vulnerability Management, Cyber Essentials and Cyber Essentials Plus Schemes. Stay connected with us to get the latest updates, free webinar and training course invitations. YES PLEASE SIGN ME UP! NO THANKS!